The amount of scarring from a breast reduction is a concern shared by many patients. 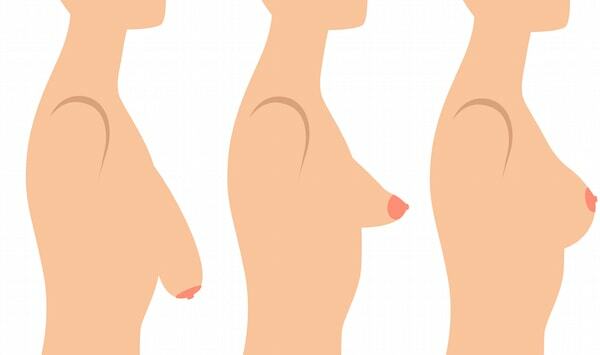 Breast reduction scarring is largely dependent on the technique used by the surgeon so choosing the right plastic surgeon for your procedure is vital. Some scarring results will occur as a result of the surgery but that doesn’t mean there has to be a large amount of scarring. 1.Sleep in an inclined position following the surgery during the period where swelling is still present. Sleeping on top of 2, 3 or 4 pillows will help you achieve the angle necessary to protect the incisions. 2.Keep an eye on your surgical wounds each day for signs of infections, redness or heat. If you think you have any signs of infection, call your doctor because infections can lead to additional scarring. 3.Make sure your surgical wounds remain clean and dry as wounds that are dirty or wet can lead to larger scars. 4.Don’t rush the healing process by trying to overdo it once you return home from the hospital. The surgical incisions need to be protected while you are healing. Try not to put any extra strain or stress on them during the recovery process. Making sure the incisions are protected while you are healing helps to reduce scarring as well as helps you in your recovery. 5.Stay away from hot water in the bathtub or shower. You might not be aware of this but steam and hot water can cause your swelling to remain for a longer period than normal. Cool and lukewarm water is your best bet once the doctor gives you the “thumbs up” to take a shower after the surgery. 6.Stay out of the sun as much as possible. Direct sunlight can increase scarring as well as cause irritation, hyperpigmentation and a slower healing process. If you do need to be out in the sun, wear sunscreen whenever you are in the sunlight. 7.Alcohol and smoking are definitely bad for the healing process. These unhealthy habits not only make the scarring worse but they also slow down the healing process. You should avoid any alcohol and smoking for a minimum of 2 weeks following your surgery. 8.Some herbal remedies and creams can help reduce scarring when applied to the swollen area. Consult with a doctor before applying any “natural remedies” to your body. 9.Don’t do any heavy lifting or strenuous activities following the surgery. Lifting heavy objects and exercising too hard can cause stress on the incisions and can even lead to them being ripped out of the area where they have been placed. Use caution and consult with a doctor before resuming any activities involving heavy lifting and too much bending. The tips above are designed to help you keep scarring reduced while still making the healing process easy on you. If you have any questions or concerns about the amount of scars forming on your body, consult with your doctor before taking any further steps to treat the issue.